It’s an age old question in business: How do you transition from the company you ARE to the company you WANT TO BE? That was the question we were asking ourselves back in 2014 when we started Pure Cinema. At that time, we were basically a full fledged wedding cinematography company – filming upwards to 30-40 weddings per year. We had been filming weddings for 6 years straight and had carved out a nice portfolio of wedding work. That time was an amazing learning experience and allowed us to hone our skills in storytelling and video production. But after 6 years it left us craving a new type of work: Commercial Video Production. Spec work – or, working for free. Literally. We believed that “if we built it, clients will come”. So we decided that we needed 3 solid commercial portfolio pieces on our website, and then we should be able to start getting paid for it. So we reached out to 3 companies who we liked – and asked if we could make them a video for their brand. Luckily for us, they said yes – and a few weeks later we had 3 brand videos up of the type of work we wanted to do. This instantly showed clients the type of commercial work we could do, rather than just a wedding film. Say what you will about Craigslist, but Pure Cinema owes a lot it when we first got started! 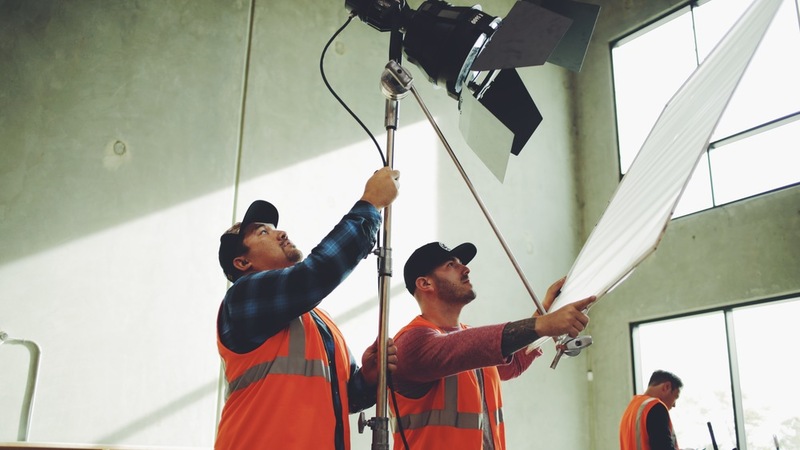 After we created a small portfolio of work, we relentlessly scoured the Craiglist site on a daily basis – looking for any ad’s for video work – and replied to them all. Shockingly, we got lucky quite a few times. Even if it was a small budget ($500, $1,000, $2,000), we took on projects and built even more of a portfolio, built relationships – and started making money for our commercial work. Before we knew it, we were landing $3-5K+ projects from Craiglist, had a ton of samples to show, and built some great relationships with clients (we even have a few clients to this day who continually come back to us who we found from Craigslist). It’s true what they say, “You need to spend money to make money”. And we took heed to that advice after we started making a small bit of money on our commercial work by INVESTING it back into our company on better equipment. When we were doing weddings we had 2 DSLR cameras, a kit of basic lenses and a simple lav audio set-up. What we learned was that if we wanted to be a successful commercial video production company we needed to upgrade quickly. We used the early funds we made and purchased a new camera (Canon C100), boom mics, a lighting kit (Kino Divas), and a couple more lenses. This allowed us to instantly create better work all around – and to attract better paying work down the line. So, in short, that’s how we made the transition from full time wedding cinematographers to full time commercial video production. It wasn’t easy…and it wasn’t fast. But it was incredibly fun and well worth all the hard work.